Are you making intentional decisions to grow your organic traffic? Yes, yes, you might be writing content to target specific keywords. And you are probably optimizing your titles, meta descriptions and headlines. But how do you know when it is impossible to rank for keywords due to high competition? What about content that just needs a little boost to rank on the first page of the SERP for a popular term? And what about building domain authority for specific topics so it is easier to rank in the future? If you want to build an organic traffic machine that brings in tens of thousands of visits every month, you are going to need to get a little more sophisticated with your use of SEO tools. We sorted the responses for each tool around features so you can see the overall strengths of each tool. SEMrush lets you plan your content strategy so that you know the exact keywords that will give you the highest ROI for your efforts. Best Part of This Tool: SEMRush is very easy to use and it provides a ton of data on suggested keywords that could be used as alternatives. Having the ability to see what other sites are ranking for is critical to us building successful SEO strategies for our clients. Needs Improvement: I would improve their reporting functions. The more robust (and flexible), the better. Some of the high-level summary data that is displayed under the domain information are not available for reporting which is frustrating. Example: Under Organic Research-Positions. I would love to include that in our reporting but it’s not available unless manually cut and paste into a report which is a hassle. Best Part of This Tool: I love how much information SEMRush puts at my fingertips when researching keywords. 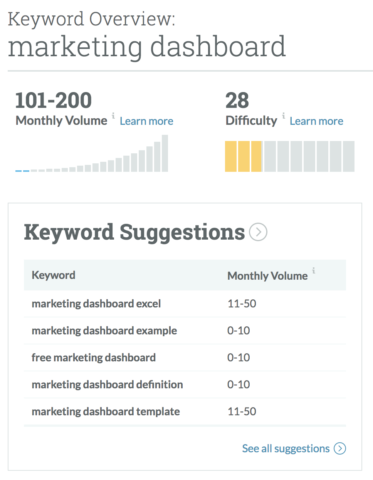 For any given keyword I get quick access to organic search volume, keyword difficulty, number of results, trends, and similar keywords and phrases. Needs Improvement: SEMRush could use more tools to automate minutiae. The tool should be able to read a site, ask a user some questions (what industry are you in, what services do you provide, etc) and come up with a simple top-20 or top-50 target keyword list. Best Part of This Tool: SEMrush is just a really great tool when it comes to tracking some simple keyword rankings. The keyword distribution tool gives you a quick look at how you’re ranking and lets you know whether or not you’re hitting your goals. But even more important than reviewing your own rankings, the tool gives you a window into your competitors and prospects, who you wouldn’t have the information on otherwise. We’ve also found that we’ve been doing a lot more link acquisition for clients (and for ourselves). By using SEMrush’s backlink research tool and looking at some of our competitors, we’re able to really easily find some potential domains that might be willing to link to our content. Saves a lot of time on the research front. Needs Improvement: Though SEMrush has great information, navigating the different reports can be a bit labored and is definitely not as intuitive as it can and should be. If I could change one thing, it would just be for them to make the product a bit more user-friendly. Best Part of This Tool: I’ve found its keyword analytics feature to be especially helpful to the point of not having to use other tools. The reports feature is also helpful when presenting to clients. Needs Improvement: Can be a little intimidating at first glance. There are a lot of features and sifting through all of them could alienate the lesser experienced. Best Part of This Tool: Our favorite tool within SEMrush is the Keyword Magic Tool. It allows us to take our root keyword phrases and identify long-tail keywords and then organize them into specific groups. We work with a lot of higher education clients, and although master’s programs appear relatively similar at the surface level, every audience is unique in how they refer to graduate degrees and the questions that arise during the awareness and evaluation stage of their research. Needs Improvement: If we could improve one thing about SEMrush it would be to use their myriad of tools (domain vs. domain, gap analysis, etc.) at a subdomain level. Often times in the higher education sector, schools within the university, or even programs within specific schools at the university, have unique subdomains. Currently, many SEMrush tools only provide data and analysis for the top level domain which limits the amount of information we can gather to support our marketing initiatives at the subdomain level. 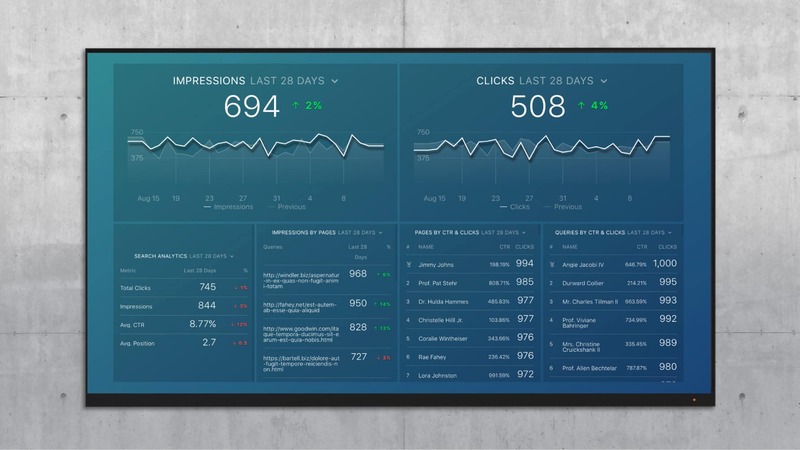 Automatically track all your most important keywords with our Keyword Milestones dashboard. If there are key terms where you need to outrank competitors, SEMrush will show you the backlinks and content you need to get there. 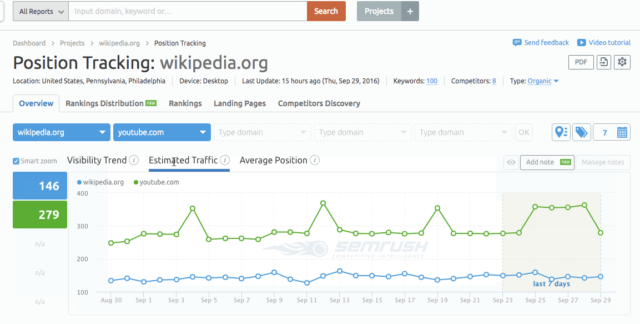 Best Part of This Tool: SEMRush is my go-to competitor analysis tool. Maybe it’s from my days of coaching sports, but I truly believe in knowing as much as you can about competitors who are doing better than you in search. When we enter a market for one of our clients, we’ll research at least the top 10-15 competitors in search for a variety of the targeted keywords phrases. Using the Domain Analytics tool, we can quickly identify their top pages getting search traffic, determine the structure of those pages and decide how we might outperform those pages for on our client’s sites. We’ll also take a deep look at the their top keyword rankings and determine if those words/phrases matter to us/our client. Of their newest features, I’m most excited about their Keyword Magic tool which allows you to build keyword groups that lead to “pillar content” ideas. Needs Improvement: I find myself turning to other backlinking analysis tools like Ahrefs or Majestic for more robust backlink analysis. For some reason, I just don’t see as many backlinks showing on SEMRush as other tools, nor do I get as much insight about the domain link profile. Best Part of This Tool: The PPC element of it, and how the competitor analysis works. Needs Improvement: I use SEMrush alongside AccuRanker. I use Accuranker because of the constant updates, accuracy and clarity behind the rankings so if SEMrush could include that functionality, that’d be awesome. Best Part of This Tool: I have never used a tool that is so versatile before. Whether I want to find a competitor’s data quickly or track a client on an ongoing basis, SEMRush allows me to do an entire audit of a company’s SEO, as well as extensive keyword research and much more for a comprehensive strategy. Needs Improvement: I do not think their backlink tool captures all of the links that are in a companies profile. It would be great to have it give me a more accurate idea of what links we have and a deeper analysis of them. Best Part of This Tool: The specific insights you can uncover with SEMrush are so valuable. Competitor analysis and digging into the key phrases that are used in organic and paid search are particularly valuable for us as starting points of any client campaign. Our own MarketScout Keyword Opportunity tool uses the SEMrush API to identify the top pages that companies should focus on for the most significant increases in rankings. This is real, practical guidance about measurable SEO opportunities – we couldn’t provide this level of insight without SEMrush data. Needs Improvement: More analysis specifically focused on the latest ranking factors would be useful to help marketers to contextualize some of the data they are seeing. Right now, SEMrush feels very much like an agency tool first and foremost. Best Part of This Tool: Keyword tracking is one of the most in-depth of any tool set and competitor tracking of keywords can be done at a glance. Best Part of This Tool: We’ve found SEMRush to be the most reliable tool for finding estimated traffic to a particular website. Within seconds you can find out where certain sites are earning visitors, where their strengths are and where improvements can be made. Not only is having reliable data such as this essential for assessing the authority of a website, it offers a massive competitive advantage. By finding out the content that is driving traffic to competitors, you can identify top performing pages, the rankings that are contributing to that and strategies how to “steal” that traffic. As SEO is constantly evolving, it’s important that we can see how sites are performing across all SERP features – something SEMRush does well. No longer is position 1 the only goal, efforts need to be split across ranking well, performing well in Google’s local pack, achieving featured answers, etc. Without a tool that can highlight when we’ve achieved those goals, we’d be flying blind. Needs Improvement: Improving backlink analysis would be brilliant. Backlinks are an essential part of SEO and SEMRush needs to improve in that area. If you are executing both PPC and SEO efforts, you can see the difficulty of ranking and PPC for each keyword. Best Part of This Tool: The specific reason I switched to SEMRush from Moz was the potential to combine SEO/PPC campaigns and the targeted keywords between both. Needs Improvement: I wish users could sign in at the same time and not have to pay for more than one user per account. The new Gap Analysis tool is similar to a popular feature from Ahrefs. Best Part of This Tool: Day-to-day, I find SEMRush to be the most versatile SEO tool. SEMRush and ahrefs appear to have the most up-to-date data. Moz is often out-of-date or shows ‘no data’ for phrases that I know have monthly search traffic, which is unfortunate. While I like Moz’s keyword list tool, I primarily use SEMRush to do keyword research because it has more data. SEMRush has other features I often use including the SEO Audit, SEO Content Template, Backlink tracking and link building research. I can even track guest posts or mentions on other websites to ensure I’m aware of the status of those links. The Gap Analysis tool is useful to show the keywords that domains have in common or keywords that one domain has that another doesn’t. This is useful when comparing competitive websites and looking for keyword opportunities. Needs Improvement: I wish the reporting tools were as UX-friendly as Moz. SEMRush is definitely an advanced tool and it shows in the reports. Identify the most important crawl issues and broken links to fix first. Best Part of This Tool: We set up projects for all of our clients, and prospective clients in SEMrush. 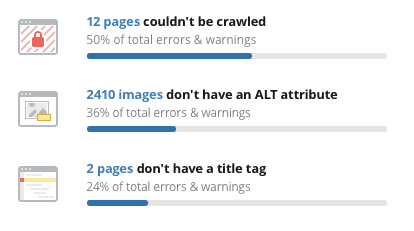 Site Audits tends to be the most used tool. It allows us to keep tabs on the health of our clients’ sites – and as a resource for any sales meetings. Needs Improvement: While the domain analytics reports can be great for competitor research, SEMrush’s data collection on smaller sites is typically limiting. We’ll take what we can get, but more data (as long as it’s accurate) is always better in my book. Best Part of This Tool: The Site Audit is decent and we also use other tools for a second opinion. It is necessary to not rely solely on one tool. Google Search Console is also essential for any SEO campaign due to the data it provides. Needs Improvement: The UK keyword database looks to be less developed than the US keyword database. I think the main suggestion we would make is the expansion of the UK database to increase the accuracy of the data. Google is rolling out more and more featured snippets and special types of listings at the top of the SERP. These are worth more than a traditional #1 ranking. Best Part of This Tool: Due to the increased competition from paid search within the SERPS, it is important to have the best search snippet possible with the relevant features displayed such as reviews, or your website being displayed in the featured snippet. One of my favorite features of SEMrush is the ability to discover what SERP features our client’s competitors rank for and being able to explore how our clients can also achieve these additional SERP features. Needs Improvement: When creating projects for specific clients, you would expect everything which is in the normal standard discovery section to also be present within the project section, but unfortunately, this isn’t the case. Best Part of This Tool: The variety of tools included within, especially the keywords research tool (including new features, like google questions and featured snippets). I also like the audit tool – onsite optimization because it allows to quickly run through the pages for “big” issues that can easily be fixed. Needs Improvement: Improve the keyword tool search volume accuracy. Currently, the numbers are not so accurate. You can even reasearch other domains to find other businesses that could use your help. Best Part of This Tool: The size of the keyword index is the most useful element of SEMRush for me. Being able to understand change over time for any domain in any locale is good from a sales and delivery perspective. It allows us to prospect potential clients that may be struggling with their SEO efforts and also allows us to monitor our changes on client websites to ensure they are having the desired impact. Needs Improvement: The accuracy of the traffic data. Unfortunately, that is powered by Google Keyword Planner data which is, of course, wildly inaccurate. Having accurate search volume data would allow us to be more specific with the impact of keyword ranking changes on traffic levels. Best Part of This Tool: Having previously used Moz for years, I recently switched to SEMrush. It has tools for growing organic traffic, managing backlinks (including identifying opportunities and requesting them), social tools, competitor audits… the list goes on. Google Search Console and Google Analytics connect directly as well so you have everything all in one place. Needs Improvement: At this point, all I can say is that it looks like they have thought of everything already! Best Part of This Tool: SEMrush has very good data on the organic keyword search positions within Google, which allows you become aware of keyword opportunities which allows you to perform a more informed optimization strategy. Needs Improvement: While the backlink data it provides for a domain is decent, it could be improved and show more extensive backlinks that other SEO tools are capable of. Best Part of This Tool: Most comprehensive, all under one roof competitive intelligence, seo analytical and social monitoring tool. Best Part of This Tool: SEMrush is more for agencies and has some great features. MOZ is now for website owners. It used to be aimed at Agencies but seem to be more fluffy these days and we’ve dropped using it. 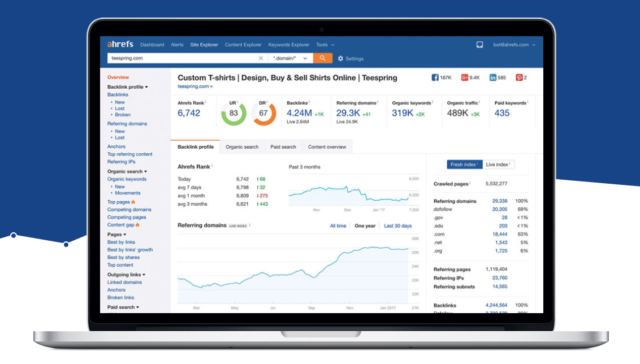 Needs Improvement: It should incorporate some of the best features from AHrefs such as content gap analysis tool. Best Part of This Tool: SEMRush has provided me invaluable insights throughout my career. It’s been a constant in my tool suite because it quickly and efficiently helps me pinpoint areas of opportunity in my keyword research. Not only does this benefit my work from a SEO standpoint, but it also helps me estimate where my content efforts will be most effective and best utilized. Everything from the search volume and ranking change data to the competition and trend metrics saves me an immense amount of time bouncing between tools and conducting manual research. Also, the paid search metrics such as estimated CPC and the ability to see competitor ad headline / copy data is incredible. Want to see who is bidding on keywords or queries? It’s all right there. Want to see what their ads looked like? No problem. I can’t say enough about it. Needs Improvement: Like I said, the trends and competition data for particular keywords and queries are incredible. I would like to see how they could tie in a content element to this tool, such as projected potential value, based on your website and industry, of building content around these keywords and queries. That would make tears come to my eyes, in a good way! Best Part of This Tool: We use SEMrush primarily for rank tracking, reporting, and keyword and content research. I love that it can tell me what a website or page is ranking for, and its reporting platform is a great, if simple, way to create baseline SEO reports to communicate performance to clients. Needs Improvement: I’m skeptical about how SEMrush is keeping up with the shifting landscape of SERPs. With personalization and localization of search results, it’s hard to trust some of the rankings, especially when focused on local-specific keywords. 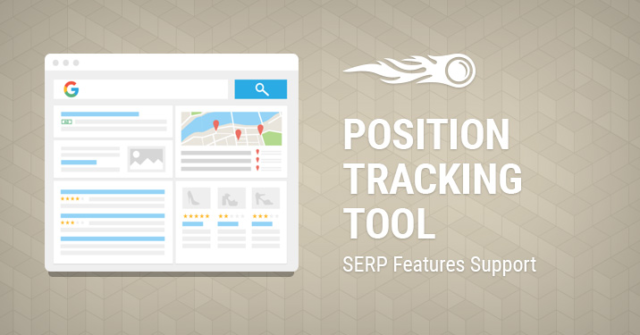 You can set specific locations, but that adds up quickly when you’re under a keyword cap. I have seen some instances where keywords are not where they say they are in SERPs when I manually check. Best Part of This Tool: SEMrush does everything reasonably well. Most all-in-one tools fail to excel at any one feature but SEMrush excels at nearly all of their features. 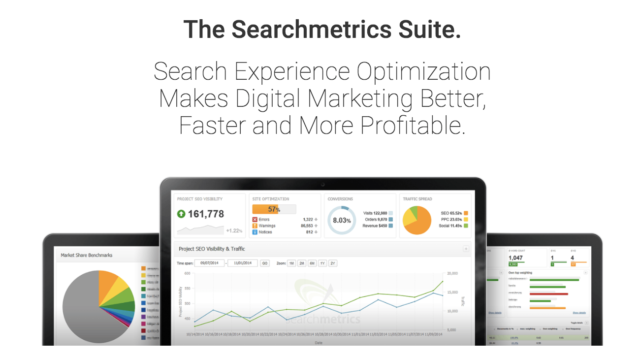 Their keyword tool is excellent, their site audit tool is awesome, too. Google Search Console is awesome, but the user interface is terrible. SEMrush allows you to connect your GSC account to SEMrush and it pulls in lots of great GSC data to view in a better interface. In general, the SEMrush interface is better than any other tool I’ve used. SEMrush’s training webinars are also excellent. Needs Improvement: An open site explorer alternative would be awesome. It’s the one tool that’s really lacking out of the SEMrush toolkit. Moz is famous for its clear user interface and ease of understanding. 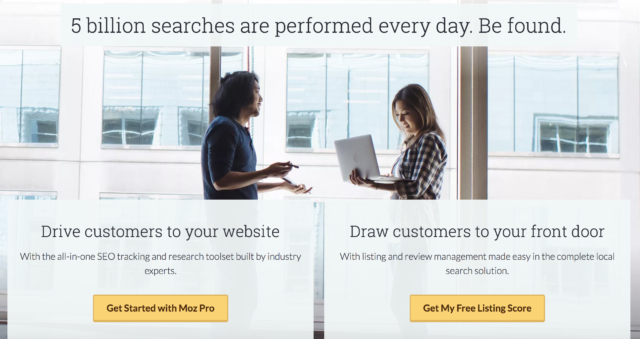 Best Part of This Tool: I’m brand new to SEO and Moz does a really great job of explaining everything about their tool and how SEO works with in-app knowledge and also demos with their customer team. Needs Improvement: Metrics! They’re not super precise and don’t tie into Google Analytics so you can’t connect your traffic from search to your ranking very easily. Best Part of This Tool: It’s very user-friendly and gives you an in-depth, complete look at your SEO. It includes listings, keywords, analytics and so much more. Moz also offers a lot of information that helps users learn how to use the tool and improve their SEO rankings. Their blog is also full of great information! Needs Improvement: I honestly don’t know what they could improve- they’ve got all the bases covered! Best Part of This Tool: I like the tool comprehensively. You can do a little bit of everything all in one tool, from local SEO and reputation management to keyword tracking to backlink audits. Needs Improvement: The one thing I like about SEMrush that Moz could improve on is competitor audits like seeing what topics your competition is ranking for and who is linking to them. Best Part of This Tool: Easy to navigate and search is a breeze. Refreshes quickly. Shows relevant information. Needs Improvement: I may be missing something, but with Google I can type in multiple keywords that show up in their own list on top of suggested. That way, I know how close or far off I am in my search from finding a better phrase. Best Part of This Tool: The simplicity to use & the number of keywords/campaigns you can track for the price are great. Also, it has built-in crawl error reporting which is nice. Needs Improvement: I would improve how it reports on local pack rankings (or really all SERP features). For example, it’s not uncommon for a keyword to be “ranking position 51+” on the Keyword Rankings tab but still show up 3rd in a local pack. Best Part of This Tool: If I would have to pick one SEO tool, it would be Moz. 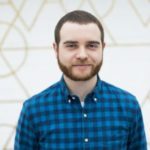 Considering that Moz provides a set of tools to analyze and measure your online performance (allowing you to track keywords, compare yourself to up to three competitors, measure Search Visibility, analyze your top landing pages, you can connect it to your Google Analytics, create custom reports, etc.). Needs Improvement: I’d like to see more consistency in data, in terms of search visibility, rankings and keywords movement in your live campaign and custom reports (monthly). As Moz updates once a week, it would be great if we could press a button and update keyword movement – Live SERPs crawl. Highlight top priority keywords more quickly than any other tool. Best Part of This Tool: The simplicity of Moz’s Keyword Explorer. It breaks down a ton of data into an easy to read/digestible format. Needs Improvement: The backlink analysis tool does not seem to be as robust as some of the other tools on the market. Best Part of This Tool: Moz Pro recently added the ability in Keyword Explorer to show you the ranking keywords for any website and can even report on where your website’s keywords and the keywords from your competitors’ websites overlap (with a nifty Venn diagram). This enables your team to strategically target keywords where you are behind your competitor or even go after words that your competitor currently owns that you want to rank for. Needs Improvement: I would add the ability to evaluate depth of content as well as gaps in existing content to address user search intent more closely. Best Part of This Tool: Moz is really great for doing keyword research with its Keyword Explorer feature. I used to have a 5 step process of pulling together keyword research from multiple sources that this streamlines dramatically. Now I can assess the opportunity around a keyword *much* more quickly than previously. Additionally, the campaigns make it easy to chart progress over time, which is really useful if you’re continuously working on rankings or watching where your rankings are moving. It’s one of those things that you don’t think about except as an agency or SEO – the ability to look back historically at the improvements and chart where you’re changing on different search terms. Needs Improvement: There’s still a lot of good information that I access in Google Search Console and I can’t get in Moz. I’d love if I could more easily pull in rankings on terms from Google Search Console, or set up parameters in Moz to automatically track new terms that Google Search Console shows rankings for. Best Part of This Tool: I like the cost for an agency our size compared to the available tools. We use Moz Campaigns extensively to monitor client rankings and technical site health. I’ve also found the Keyword Explorer to be one of the best tools available to for keyword research and keyword assessment. Needs Improvement: Open Site Explorer has had some serious issue with their index and has become increasingly unreliable in the last couple years. 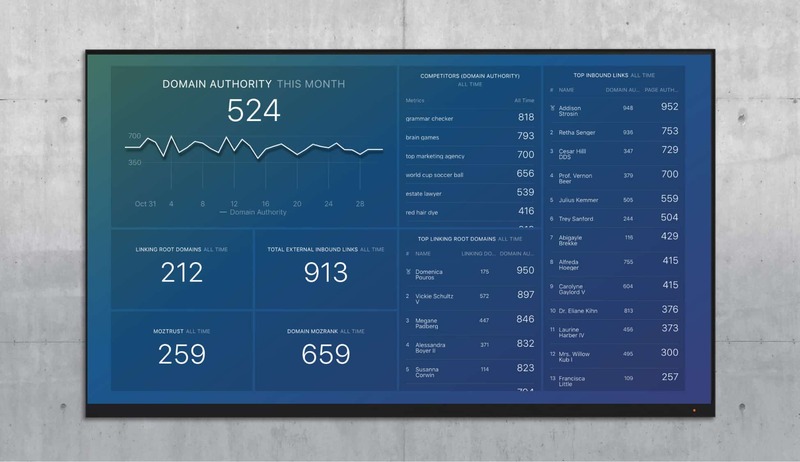 Our Moz Basics dashboard covers all high-level metrics for your domain. Needs Improvement: I don’t like the amount of time I have to wait for some data to be crawled, I understand this doesn’t depend on MOZ all the time but I have to wait sometimes for more than a month to see if my domain authority has been benefited by my backlink strategy. Even though Search Console is free and has limited functionality, it provides an exact measurement of your efforts. It gives us search terms that Google Analytics may not have picked up on. This, in addition to the Google Analytics list, helps in informing SEO strategy. Its backlink report is good as well. We also find that its ability to locate crawl errors very helpful in maintaining site health and user experience. Needs Improvement: We think it’s great as it is. Best Part of This Tool: Google Search Console provides us with a lot of information about the search terms or backlinks of our website. It also allows us to fix all those aspects about our website that have a great impact on SEO and are usually forgotten, such as duplicate titles, 404 errors or structured data. Needs Improvement: One of its negative features comes from its simplicity as a tool. It would be great to have some historical data improvements as they are available in other tools like SEMrush platform. Best Part of This Tool: I use Search Console with Ahrefs. It’s a great tool for backlink analysis, link building, keyword research and for monitoring keyword rankings. A feature for filtering all sitewide links. Best Part of This Tool: It gives you all the information you need in regards to what people searched for in order to find your site. This is invaluable for keyword research and content strategy. Needs Improvement: It would be fantastic if you were allowed to store your data past 3 months. Best Part of This Tool: What I like the most is how it helps us understand which search words and phrases caused a page to appear in search results. We use this information to improve the content of a page and understand where our inbound links are coming from. We also use it to discover other related keywords and phrases to create new content around. For example, while doing some analysis of the Search Console data for a client, we found that people were searching for “Instagress Clones” and “Instagress Alternatives” and landing on a blog post about Instagram automation. The search volume was pretty good but wasn’t huge. We decided to create a new post title “Instagress Alternatives, Clones & Instagram automation tools“ and when Instagress shut down in July 2017, a flood of traffic for “Instagress Clones” came and the post was ranked #1. This site still gets traffic from this keyword today and it all started with the search console. Needs Improvement: It’s a pretty good tool as is today. It’s come a long way from the Webmaster tools version and they have simplified the user experience making it fairly simple for new users to figure it out. It does the job it was intended to do and it does it quite well. Best Part of This Tool: Its information straight from Google about the health of your website. Needs Improvement: I wish it would show you the exact title tag and meta description it shows to users and then allows you to re-write title tags, meta descriptions, and sitelinks in Search Console to what you’d prefer. The main reason is that when you work on many large enterprise CMS systems, you can’t always edit those items. Either due to IT blocking you or b/c the CMS is so old and out-dated. Another cool option would be for them to allow users to split-test Title Tags and Meta Descriptions, just like they do in AdWords. This would give webmasters the chance to learn how to write a better Titles and Descriptions for users. Best Part of This Tool: The tool I use the most within Google Search Console is the Search Analytics report which allows you to see clicks, impressions, click-through-rate, and ranking for your website. It also allows you to filter your data in a number of ways. My favorite way to use this report is to filter data for only one page then analyze the search queries driving traffic to that specific page. You can also narrow down this data, even more, to see how mobile users are searching compared to desktop users or how users in different countries compare to each other in search trends. Needs Improvement: One of the major limitations of the Search Analytics report is that you can only view data from the last 90 days, and data from the last 48 hours are not available. If you needed to compare two periods, these time restrictions get even more severe. This is a reason I try to check this report as often as I can. If you want to check out the top-performing queries and pages for your domain, you can use the Search Console basics dashboard to track in real-time. Best Part of This Tool: Besides having one of the biggest indexes of live links for backlink analysis, their Link Intersect Tool is awesome. The Link Intersect Tool allows you to add a number of competitor websites and your own to find websites linking to your competitors, but not to you. Needs Improvement: Nothing to improve on, this is my favorite tool. 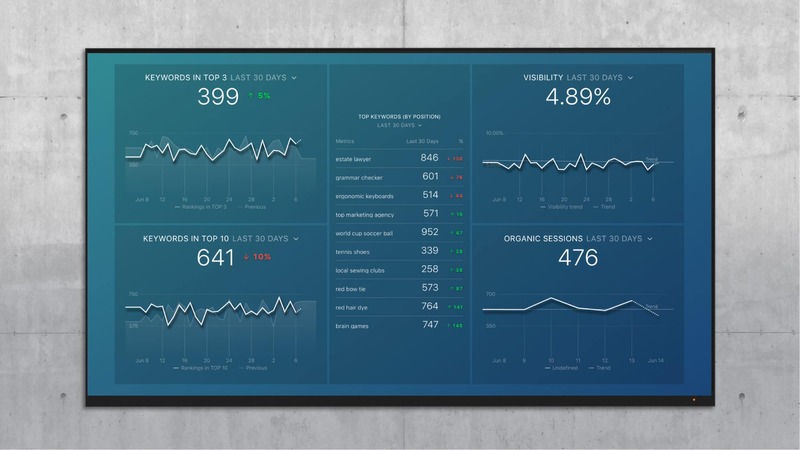 Best Part of This Tool: Sistrix’s visibility index is very helpful to see, at a glance, if your SEO efforts are working well and if your competitors are doing better than you. Apart from that, the support is incredibly good. Needs Improvement: Sistrix is a very strong tool, but I would like the chance to make better keyword research. Best Part of This Tool: BrightLocal has a few really nice features. They have one report where you can analyze your inbound links and citations vs your competitors to learn where you should focus your efforts. This report is also sorted by ranking for your keyword, so you can see what highly ranked competitors have in regards to metrics. Needs Improvement: Their tool is highly focused on local SEO so it’s not the best tool for national SEO campaigns. Best Part of This Tool: If I only had a single SEO tool, Searchmetrics would probably be the one due to its multiple purposes. The market insights from the research cloud are just sweet for anyone curious about the astonishing search market. I get data on competitor performance etc. Searchmetrics, besides organic and paid visibility, also includes monetary value (an estimate of what the CPC would in AdWords – and hence value for each organic term). I would highlight features such as keyword potential where you’ll get a prioritized list of keywords that would drive most traffic from optimization based on search volume, current rankings, competition etc. And then there’s the entire content optimization area with great suggestions on how to optimize what content and technical issues that would create most value. Needs Improvement: Link data quality. However, I think that race is somewhat lost to Ahrefs, who are improving and expanding features extremely fast. Are You Really Ready for an SEO Tool? If I use this tool successfully, and I generate more organic traffic… what will be the business result? Yes, everyone loves to watch that traffic graph go up and up… but do you have evidence that these visitors translate to more business? If you are a B2C brand, you may want more video views or more newsletter signups. If you are a B2B brand, you may want ebook downloads or demos booked. Whatever the conversions, traffic cannot be your only marketing goal. Here is a way to test this: Draw out the best-case scenario that you might expect after generating more organic traffic. What other metrics will change and why? Will you generate more leads? Will you gain more brand exposure? Your traffic goals should be linked to other goals that are closer to revenue. If you have good evidence that more organic traffic will generate more business, then you are ready to try an SEO tool!